My children have seen me working out, and have wanted to get in on the fun. 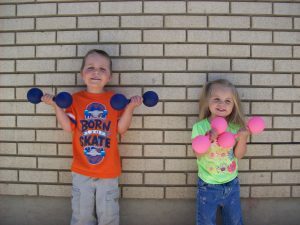 I want them to start developing healthy, happy habits, but they weren’t going to be able to “exercise” with my weights. I also don’t want to worry about them building muscle at such a young age. So I set out to see if there was something that resembled weights, but that they could still lift. After not finding anything suitable, I decided to just make my own. 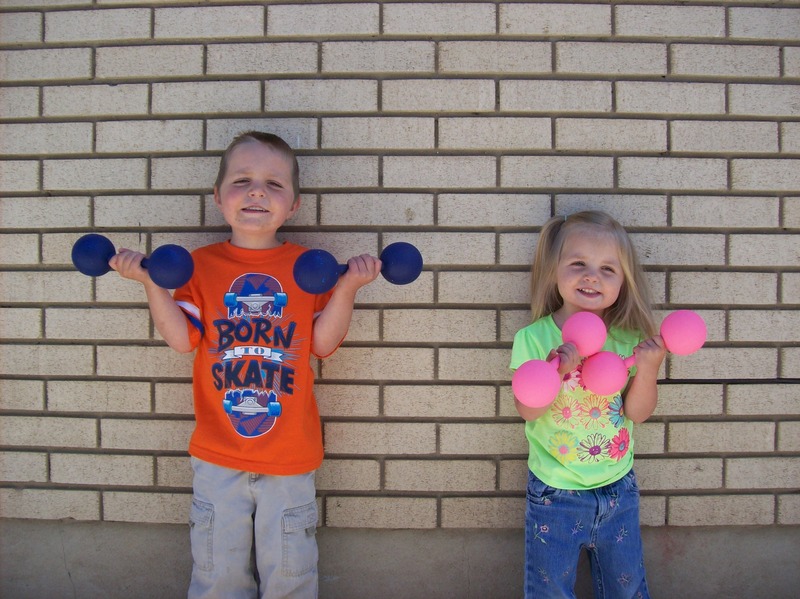 Here’s how you can make your own weights for your kids! Measure the wood dowels and cut in half. I used a little saw that was on Josh’s swiss army knife, but any small saw will work. Measure to exactly six inches and make a clean cut. 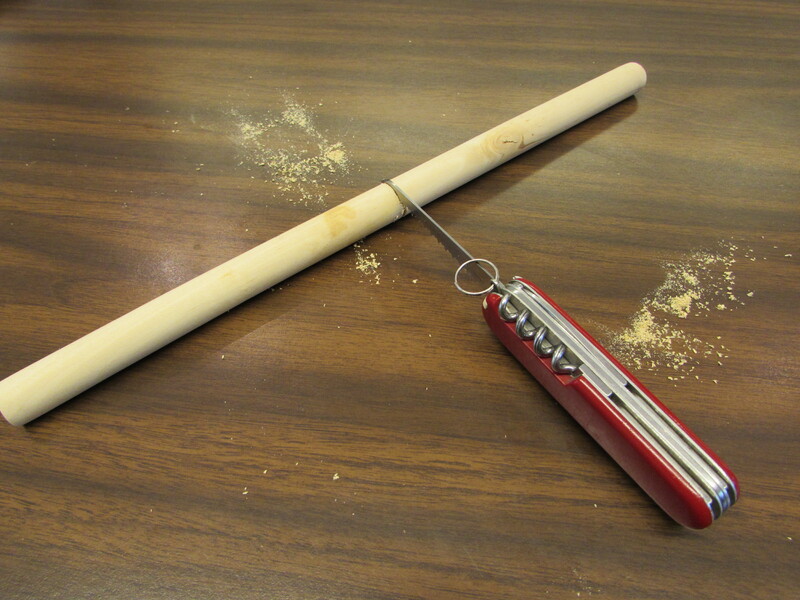 This will give you two rods to use per weight with each child. Cut holes in the styrofoam balls about 3/4″ in diameter. Many styrofoam balls I came across already had a tiny hole on one side of them. 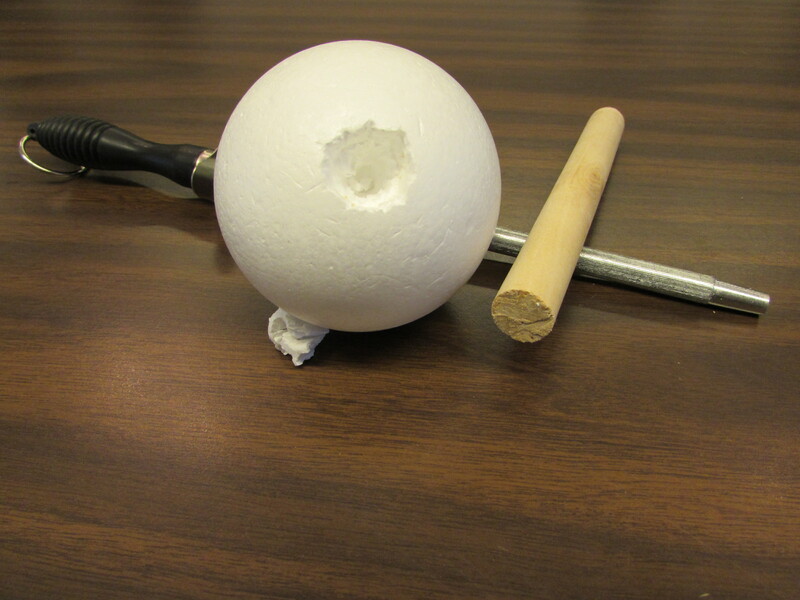 Simply expand this hole until it is about the same size as the end of the wooden dowel. One way is to put a sharp-tipped knife into the hole and twist. Throw away the excess styrofoam that comes out of the hole. Repeat this with all four balls. 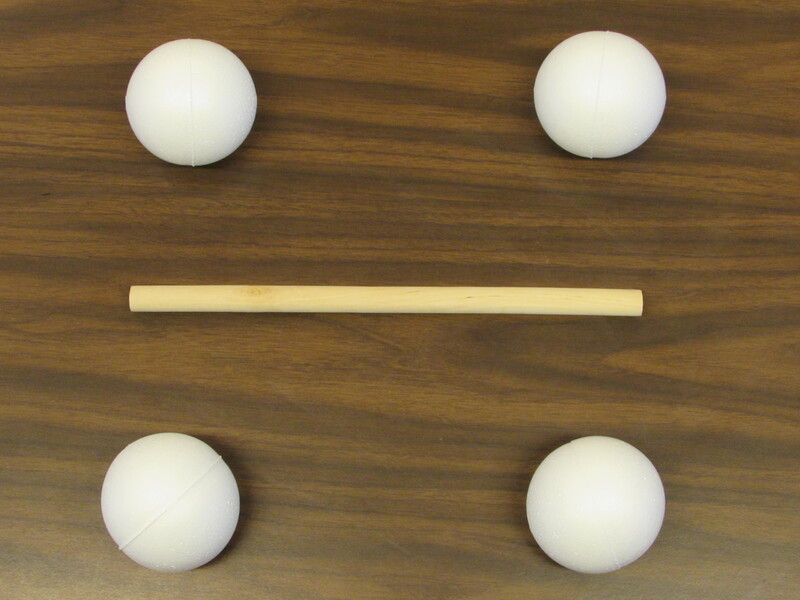 Put the balls on either end of the wood dowels. Push towards each other until the dowel is about half way through each ball (or 1 1/2″ deep) This will make the holes bigger, but just enough that it they still hug the dowel. 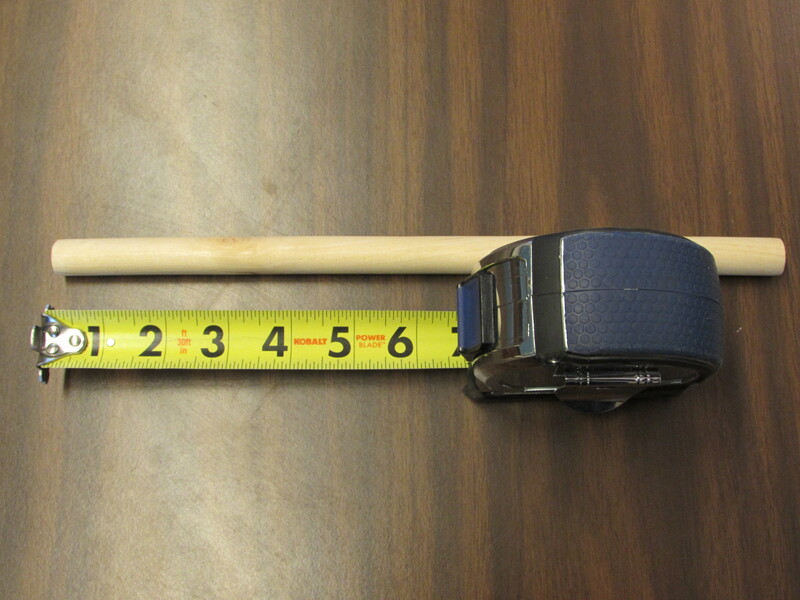 It also leaves just enough of the wooden rod for little hands to grasp – just like a real weight! Remove the styrofoam balls and glue them to the rods. Using a hot glue gun, put some hot glue on the inside of the balls (I went around the inside circle about three times with the glue gun). Put the balls back on the rods, push together, and let the glue dry. Paint the weights. Once the glue is dry and the styrofoam balls are solidly attached to the dowel rods, paint them whatever color you want. I let the kids use some acrylic paint that I had in our craft closet. Of course they needed my help with this, but it was a fun experience! Once the weights are painted, set aside to dry. I set ours on top of plastic cups to dry so that the paint wasn’t drying to newspaper or magazine covers. Have fun! Your children now have some weights of their own that they can use, and you don’t have to worry about them hurting themselves. 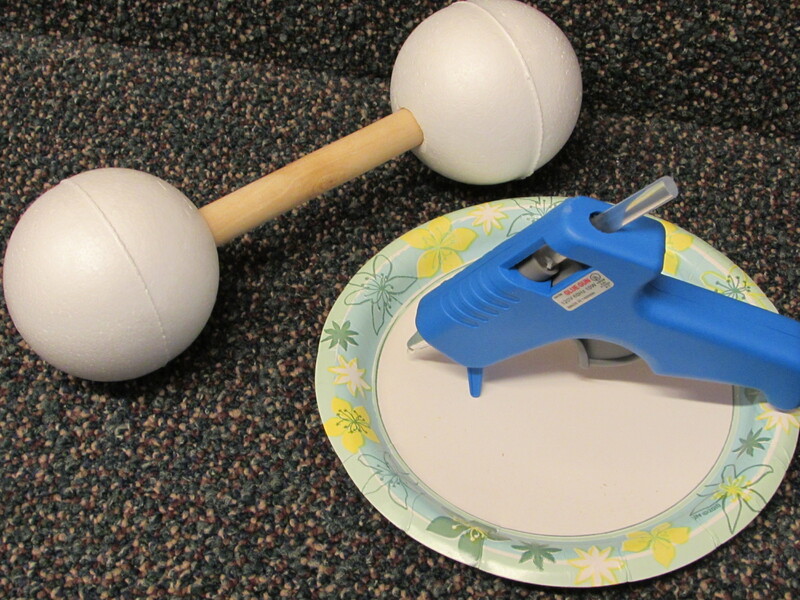 Paint has flecked off of the weights as my kids like to hit them together, but they have still held up. You can always touch up paint any spots that may emerge (something I can’t say about my 15 pound metal dumbbells). 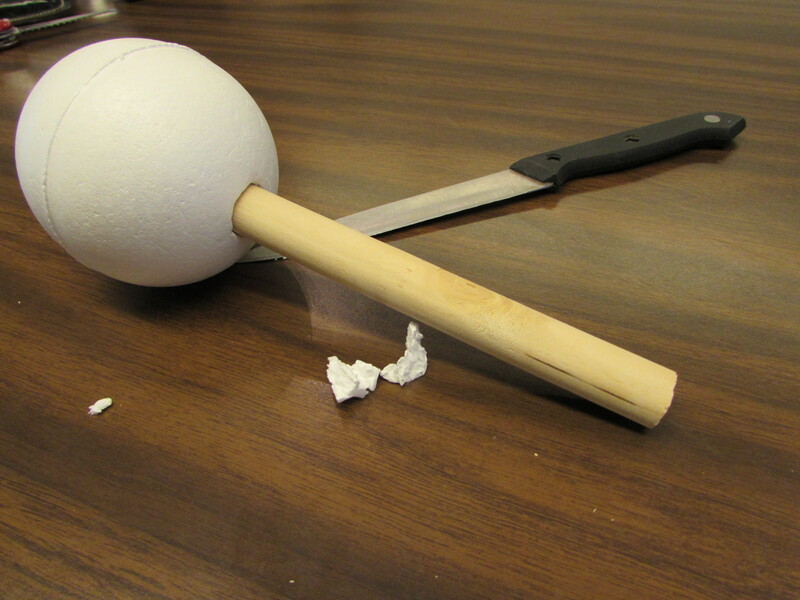 And if the balls come off the rods, they can always be reattached with some fresh hot glue. 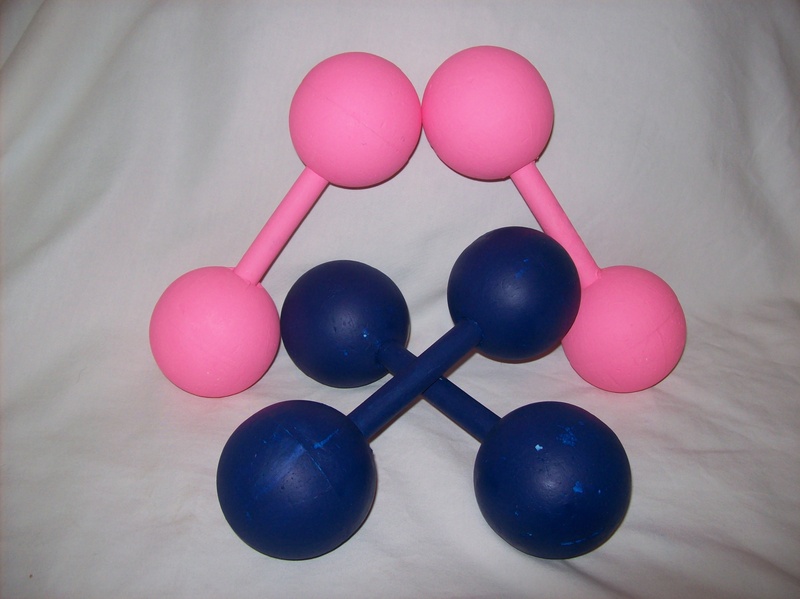 Whenever my kids want to join in on my workouts, they now have their own “weights” they can use. So have fun making them, and have fun with them!